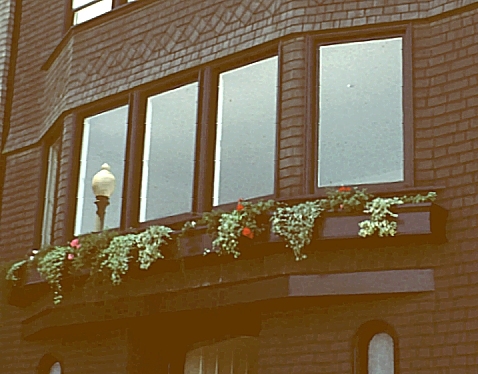 Images of the Aurora Stull House, San Francisco, by Julia Morgan. Digital Imaging Project: Art historical images of European and North American architecture and sculpture from classical Greek to Post-modern. Scanned from slides taken on site by Mary Ann Sullivan, Bluffton College. See the Introduction for more information on Morgan's early domestic architecture. 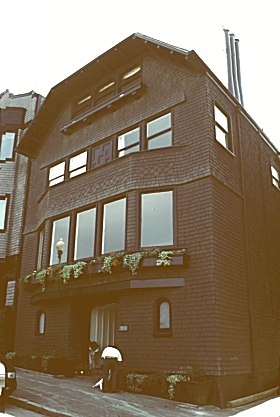 This house, designed for the mother of one of Morgan's college friends, is on Pacific Avenue, a street where other prominent early 20th century Bay Area architects also designed residences and where views of the Golden Gate were part of the attraction. Made of redwood shingles, it is defined stylistically by Sara Holmes Boutelle as "urban Arts and Crafts" since it is aligned with the street and eliminates the more usual connection with the landscape(135). The facade is symmetrical (with a center entrance) and the living room occupies the width of the house, with large windows and a window seat to take advantage of the view. The interior is characterized by careful craftsmanlike details. Work Cited: Boutelle, Sara Holmes. Julia Morgan Architect. Revised and updated edition. New York: Abbeville Press, 1995. 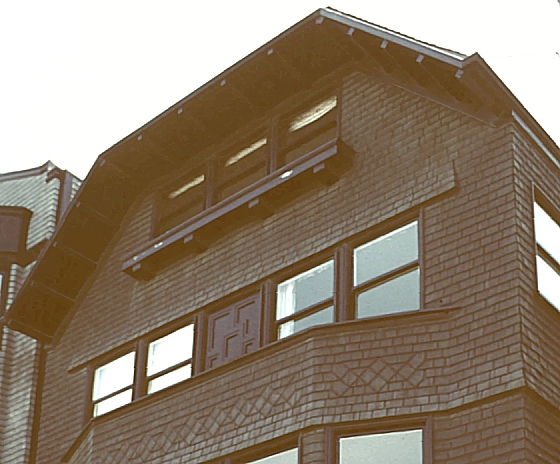 Click here to return to Julia Morgan Table of Contents. Click here to return to Women Architects Table of Contents. Click here to return to Home Page (Digital Imaging Project: Art historical images of European and North American architecture and sculpture from Classical Greek to Post-Modern).